Progress Lighting Five Light Collection 1-tier chandelier in traditional style, has voltage rating of 120-Volts and wattage rating of 300-Watts. This chandelier has a dimension of 21-Inch Dia x 16-1/2-Inch. It incorporates five 60-Watt incandescent lamps with the help of candelabra phenolic socket. This indoor chandelier in brown color, comes with matching candle sleeves glass shade and mounting strap for outlet box. It features steel construction with antique bronze finish. 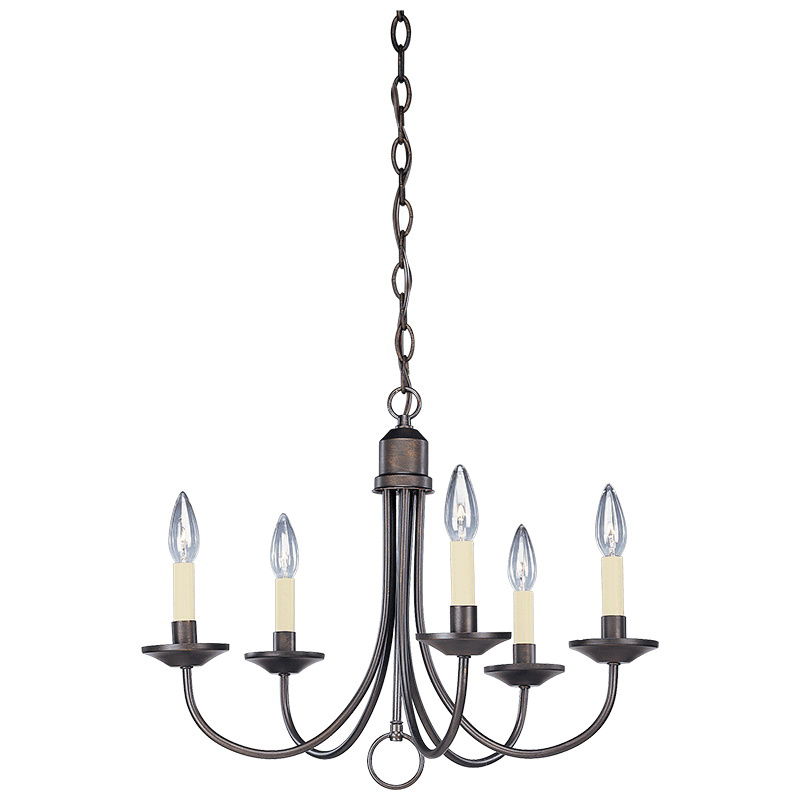 This ceiling chain mountable chandelier includes 6-ft 9-gauge chain and 10-ft wire. It ensures maximum hanging device length of 90-1/2-inches. This chandelier is great for dining room, sitting room and dry locations. Chandelier is UL-cUL listed.